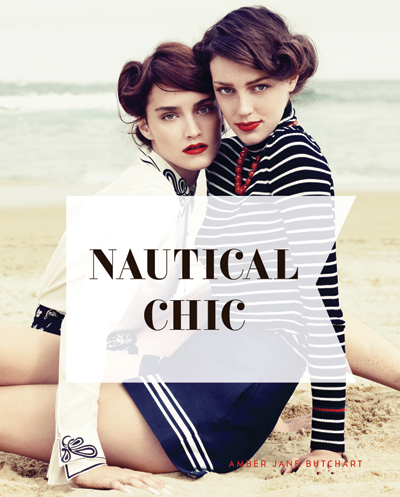 For centuries, the appeal of nautical dress has cut a sartorial swathe. But how did the iconic blue-and-white fisherman’s top and yellow peacoat make the leap from uniform into fashionable dress? In her first book, Nautical Chic, fashion historian Amber Jane Butchart uncovers the stories, tracks the trends and traces the evolution of the style back to its roots in our seafaring past. Inspired by a French watercolor, Pine Cone Hill’s new “Audrey” bedding collection is bound to evoke a midsummer night’s dream. Its crisp and breathable cotton composition makes it the perfect weight for the sweltering season, while its cool floral print in watery blues pairs beautifully with both stripes and solids. Hestia Luxury in Linens, 61 Park Place Dr., Covington, (985) 893-0490, pineconehill.com. To commemorate its 250th anniversary, Baccarat is putting a contemporary twist on a number of its most cherish designs including the Medici ring. Now made up of solid crystal, the all-new Medici captures light at every angle and is available in the company’s iconic signature red, along with clear, black and a host of summery hues such as peony, turquoise and light blue. baccarat.com. When it comes to modern, modular furnishings, Stokke Home knows how to keep it clean. They recently introduced a collection of Scandinavian-style children’s furniture that is imaginative, safe and eco-friendly. Just like your little one, the set transitions from baby to “big kid” with a crib that transforms into a daybed or playhouse and an attachable changer that doubles as play table or desk. Mignon, 2727 Prytania St., 891-2374, stokke.com. Mounted atop hand-painted archival paper and framed in a custom gilt shadow box, Portico Aesthetic marries Old World charm with modern glamour for a match made in decorative arts heaven. Each piece features a single antique-inspired intaglio that’s hand-poured and individually cast in plaster and marble dust using centuries-old techniques. Gerrie Bremermann Designs, 3943 Magazine St., 891-7763, porticoaesthetic.com. In the wake of the successful launch of its Alchimie de Venise porcelain collection featuring Mariano Fortuny’s iconic prints, L’OBJET unveils a new series of soft goods including placemats and napkins. Sold in sets of four, the graciously sized Farnese table linens feature a crisp white field bound in an exquisite Fortuny border. l-objet.com. To celebrate some of her clients’ favorite projects and finishes from the last 15 years, decorative artist E. Lee Jahncke Mead introduces a bespoke fabric collection based on her original hand-painted designs. ‘Absinthe’ and ‘Lafitte’ are currently available with a third design in the works. Each fabric is digitally printed in New Orleans on 100-percent linen but can be customized on canvas or silk. Fairfax Fabric Co. 3613 Magazine St., 309-9503, eleejahncke.com.